Girls' Generation 'The Boys': ‘Mr. Taxi’ Version of the 3rd Album will be Released on December 7th! ‘Mr. Taxi’ Version of the 3rd Album will be Released on December 7th! Girls’ Generation will Continue Activities with the 3rd Album by the End of December! Girls’ Generation will Perform ‘Mr.Taxi’ Following ‘The Boys’ which Won the 1st Place 11 Times! Girls’ Generation, who made a comeback in the middle of October, has proved themselves as the top group by winning the 1st place 11 times on music programs with ‘The Boys’ (‘KBS Music Bank' for 5 consecutive weeks, ‘SBS Inkigayo' for 3 consecutive weeks and Triple Crown on ‘M.net Mcountdown’). 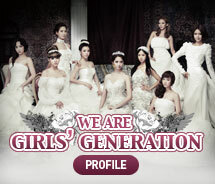 Girls’ Generation will begin performing ‘Mr. Taxi’ from December 2nd on ‘KBS Music Bank’ and present special stages on various programs until the end of December. In addition, ‘Mr. Taxi’ ranked the 1st on the Oricon Daily chart after it was released as a Japanese single in April this year and it is included in their first Japanese album which has sold over 700,000 copies. Girls’ Generation performed the Korean version of ‘Mr. Taxi’ at their second solo concert in July for the first time and also performed with ‘The Boys’ at the comeback stage. Also, since the ‘Mr. Taxi’ version of Girls’ Generation’s 3rd album, which will contain new images, will be released on December 7th it is expected to make music fans feel excited. Meanwhile, Girls’ Generation will attend ‘2011 Mnet Asian Music Awards,’ which will be held in Singapore on the 29th, and present fancy performance and is scheduled to perform ‘Mr. Taxi' on various music programs starting from ‘KBS Music Bank’ on December 2nd. Thanks for the sharing a such a great information.Please keep such kind of the information.I am loving this information. This is the best site for anybody who desires to find out about this subject. You notice so much its nearly onerous to argue with you (not that I truly would want...HaHa). You undoubtedly put a brand new spin on a subject thats been written about for years. Nice stuff, simply nice! It is important for the person buying the cheap nike blazers shoes to know their needs when selecting the shoes. The type of the sports one plays also determines the type of the shoes that should be bought. Adobe Acrobat 9 Pro Extended Download includes all the features and functionality of Acrobat 9 Pro, plus the ability to unify the widest range of content in a PDF Portfolio, create interactive presentations with Adobe Presenter software, easily convert and share video in PDF, create PDF maps, convert virtually any 2D and 3D designs to PDF, and enjoy expanded 3D capabilities with the new Adobe 3D Reviewer. Connect Project Professional 2010 Download with Microsoft Project Server 2010 and gain control across all types of work, improve project selection and strategic alignment, maximise resource utilisation and visualise performance through powerful dashboards. The one thing which baseball ​snapbacks​ spawned however was a trend which will never be outgrown by the actual sport. It is used by people from all countries, young people, old people, even people who hate baseball. It is the baseball hat! Acrobat 9 Pro Download helps business and creative professionals communicate and collaborate more effectively and securely with virtually anyone, anywhere. Unify a wide range of content in a single organized PDF Portfolio. Collaborate through electronic document reviews. Create and manage dynamic forms. And help protect sensitive information. Microsoft Project 2010 Download introduces several features to dramatically enhance how you see and work with your project. Project 2010 Download introduces a major shift in how projects are scheduled. Changes to factors such as task dependencies and the project calendar no longer automatically adjust task dates when a task is manually scheduled. Project Standard 2010 is the complete PDF solution for business and technical professionals. You can publish a diagram directly to SharePoint from inside Microsoft Project Professional 2010 Download. Create the diagram in Visio, use Visio to publish it to the server, and view the diagram in a browser.